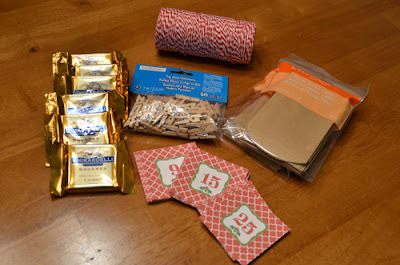 The excitement of opening an Advent Calendar surprise is something that never fades away. The anticipation is still super fresh in my mind. 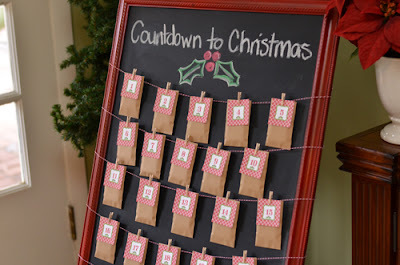 This year, I thought it would be fun to make my very own "Countdown to Christmas" Advent Calendar. 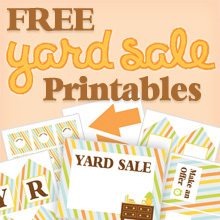 Here's how I created this fun and easy project. 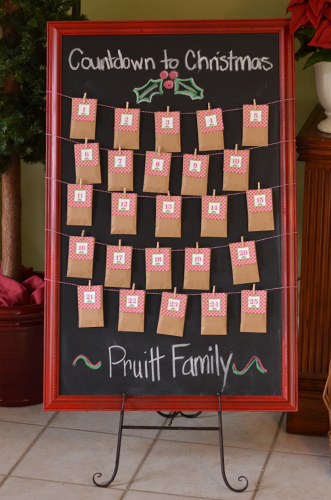 Press push pins into the back side of your chalkboard or frame at even intervals to create five rows across. Thread bakers' twine or string around the chalkboard looping around each push pin to hold securely and tie ends. Alternately, you could tape the twine or string onto the back of your chalkboard, but I'm not sure this would hold as securely. 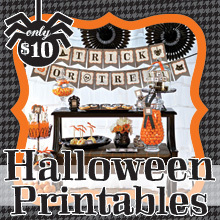 Fill your mini paper bags with chocolates or other surprises, and fold the top of the bag over. 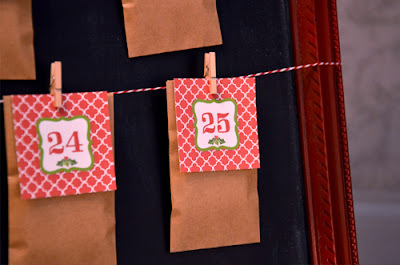 With the folded side facing the back, place a printable advent calendar number on top of the bag, and secure into place on your frame with a tiny clothespin. I found the mini paper bags, chocolates, and tiny clothespins at Michael's...gotta love one-stop shopping! 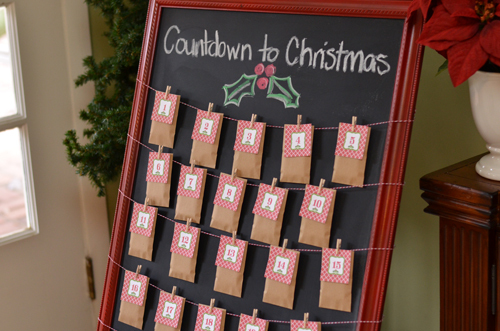 Use chalk to personalize your Countdown to Christmas Advent Calendar. I drew little holly leaves to coordinate with the design on the Printable Advent Calendar Numbers and put our family name at the bottom. Starting on December 1, let the fun begin! Since it's just me and my husband at our house, we take turns opening a number every day. I get even numbers; he gets odds. Then if family comes to visit, we usually let them open the last few numbers leading up to Christmas. It's fun to share the joy! If you'd like to order the Printable Advent Calendar Numbers, they are available for instant download for just $2.50. You'll receive an email within a minute or two of purchase with instructions for downloading them. What are some of the holiday traditions at your house?